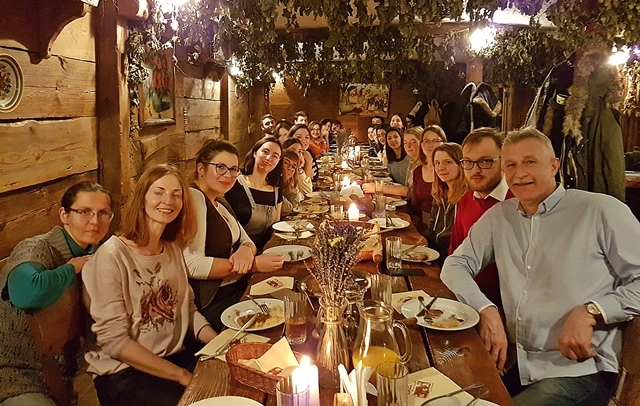 On 12th of December we had a pleasure to invite our Erasmus students to Chata - a restaurant with a traditional Polish cuisine where we tried to bring out the flavours of Christmas giving them a chance to taste Christmas borscht, fried carp and many other Christmas dishes. We exchanged information about Christmas traditions in our countries and explained the reason for meatless dishes on our Christmas table. Traditionally, students received small gifts with some gingerbread inside. 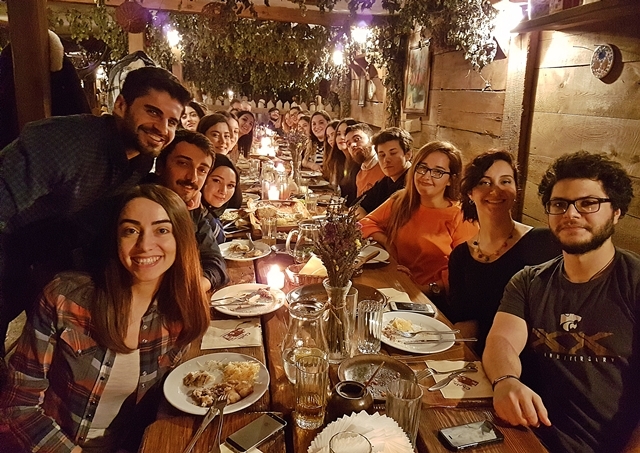 There were over 20 students present ( from Turkey, Spain, Greece and Croatia). We really enjoyed their company.